The autumn garden provides an abundance of material for flower arranging, and we’re going to take full advantage of it for this workshop! I’ll show you some of the different floral materials you can find in your garden and hedgerows, as well as some readily available flowers, and then you’ll get to create your own masterpiece! A fun and relaxing morning – no experience necessary, just a love of flowers! 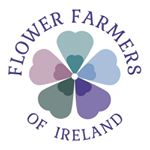 The cost of the morning is €45 including all materials, coffee and cake, and you will get to take your flowers home with you to show off to friends and family! Places are limited so booking is essential.